Other Information: Store at 68-77 degrees F (20-25 degrees C). Close cap tightly after use. Read all product information before using. Keep this box for important information. 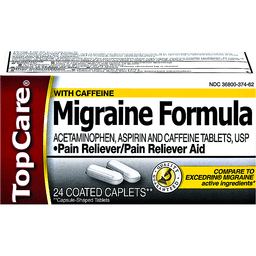 Misc: Acetaminophen and caffeine. Aspirin free. 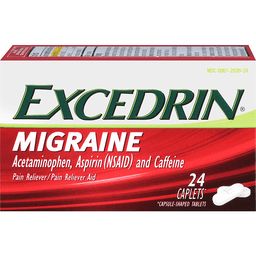 Visit us at www.excedrin.com. 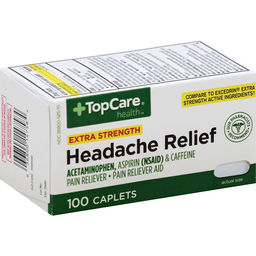 Temporarily relieves minor aches and pains due to: headache, arthritis, muscular aches, a cold, sinusitis, toothache, premenstrual and menstrual cramps. Added strength. 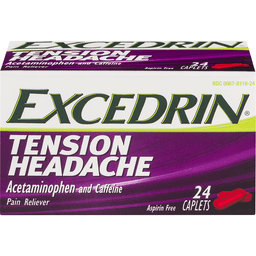 Compare to excedrin active Ingredients.